Katie O’Neill, author of Princess Princess Ever After, is coming out with a new graphic novel about dragons that grow tea leaves from their horns, and two girls who strike up a friendship while learning about them together. 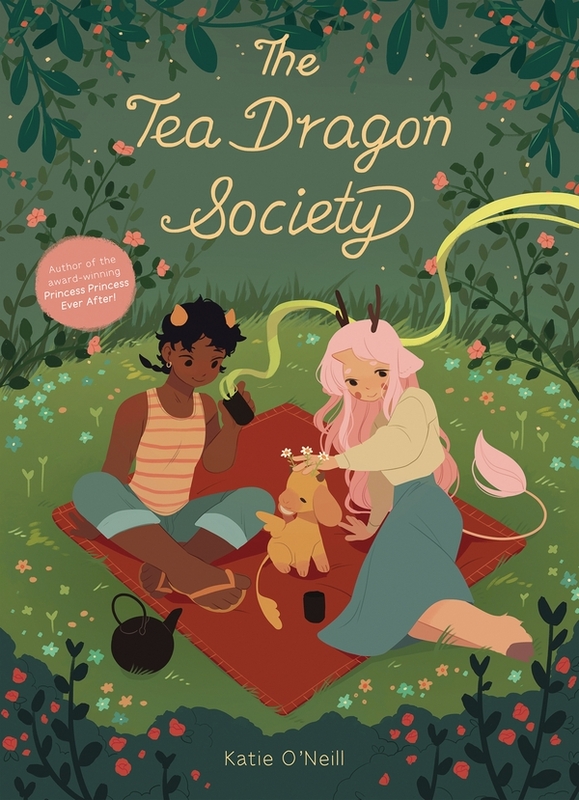 The Tea Dragon Society is a story told over four seasons, we meet a young goblin, Greta, who is working hard to learn blacksmithing from her mother, even though the heroes who might have needed the swords are long gone. While coming back home from the market Greta meets a small dragon who is being chased by hungry dogs. She saves the day and is promptly introduced to the dragon’s owner, Hesekiel, and introduced to the world of Tea Dragons. Though the story is aimed at a middle-grade audience, there are many loving moments that will speak to older readers and fans of Ghibli. I adored it. You can read the story online.